It is always a diificult time when you lose someone. Choosing flowers is something that should be done with care and with someone who understands what is needed in such cases. 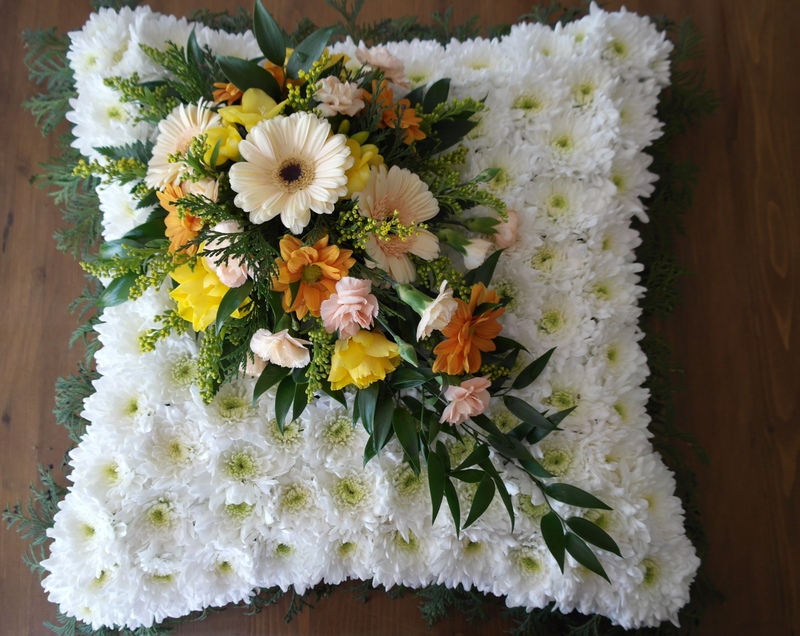 I can come to your home and allow you to make your selection , guiding you where necessary as to choice of arrangements. 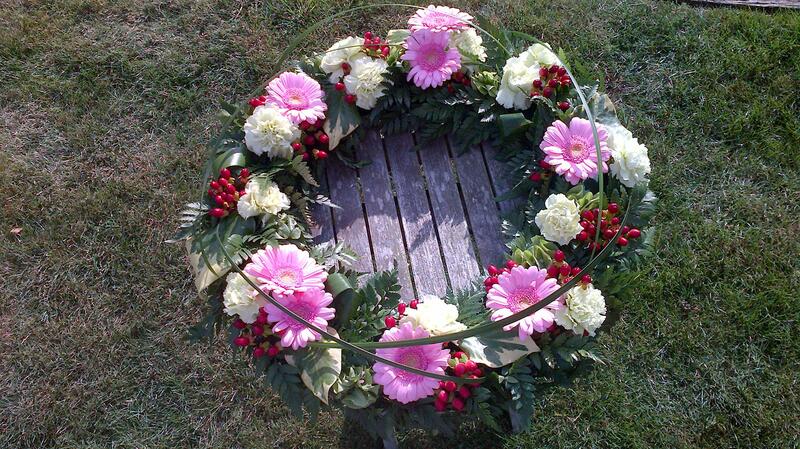 I can also deliver directly to the Funeral Director concerned for no extra cost. Nothing is too much trouble and no detail will be missed. Below are a small selection of available tributes and a guide as to their cost as well as a comment from one of my past clients. Please contact me to discuss your choice or arrange a visit.
" 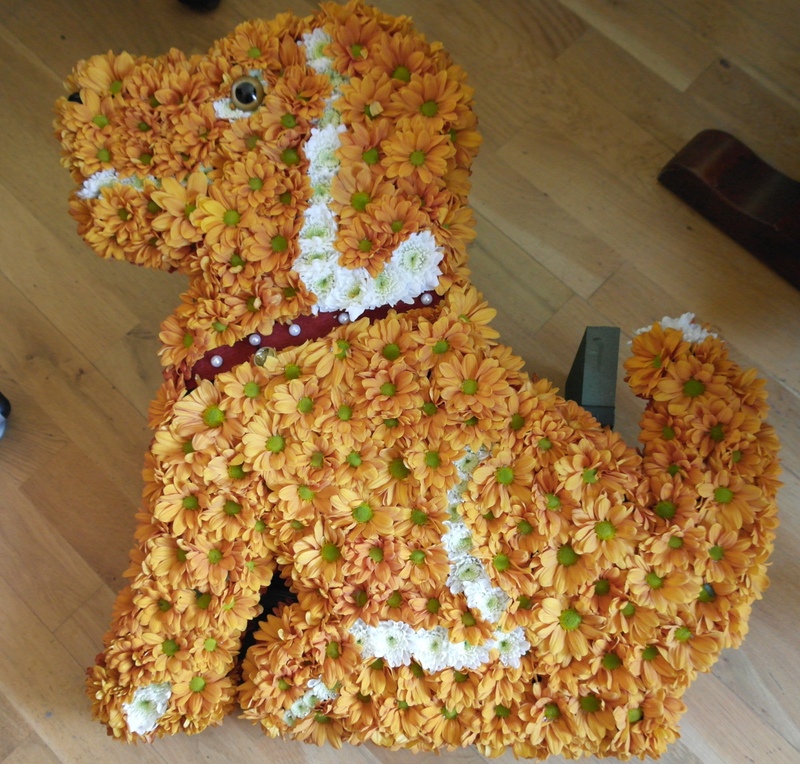 Just wanted to let you know that we were extremely pleased with the floral tribute you prepared for us for Dad. 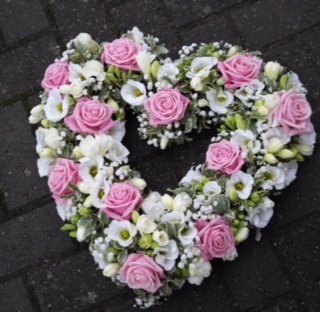 They were absolutely stunning and the way you used the specially requested thistles too worked really well. Thank you also for all the help and advice during this difficult time. 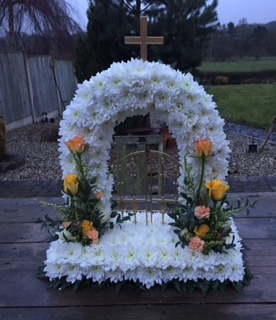 I cannot recommend you highly enough for the high standard of the quality of the flowers themselves and the professional work that has gone into the design. 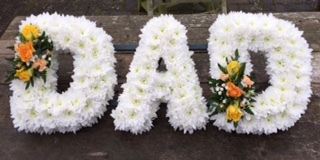 It was exactly what we asked for..........."
Posy arrangements from £40 - Sprays from £45 - Wreaths from- £45 - Casket designs from £120 - Hearts from £60 - Baskets from £30 - Bespoke from £65 Letters from £40 per letter, Casket sprays from £40 per foot.